Favourite Disney characters are on hand to guide little ones in making the critical connection between words and real-world images. 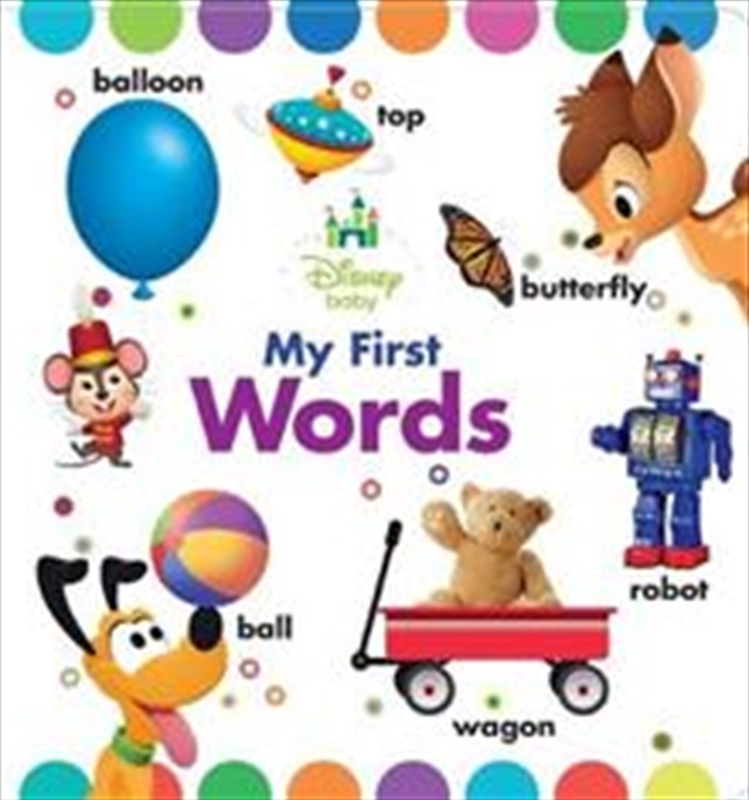 Organised by category and packed with colour photographs, Disney Baby My First Words taps into young childrens curiosity about the world around them. The sturdy board book construction makes this book perfect for little hands to hold time and time again.